CarPro SkysBlu provides the familiar scent of CarPro Eraser in an easy to use, compact, and VERY long lasting mini bottle. CarPro SkysBlu provides the familiar scent of CarPro Eraser in an easy to use, compact, and VERY long lasting mini bottle. You simply hang SkysBlu from the rear view mirror, clip it to the vent, or otherwise fasten it so that it is kept upright. 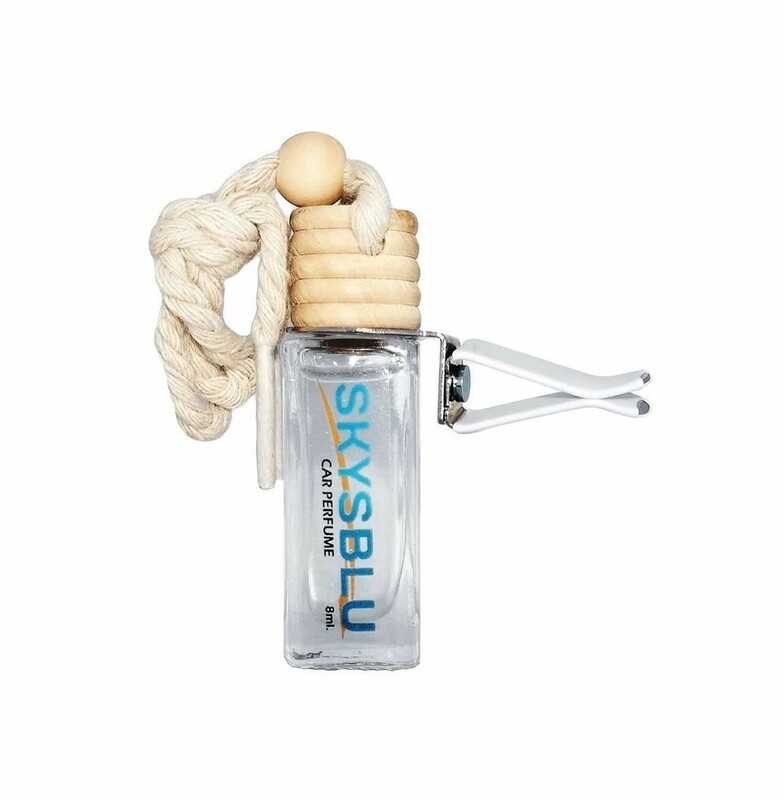 That’s it... CarPro SkysBlu perfume includes a small plastic seal beneath the wood cork, which must be removed to activate the product. Then simply screw the cork top back on and fix as mentioned and enjoy many months of fresh air! SkysBlu Car perfume is hypoallergenic, provides a very subtle fresh scent, and comes in an attractive glass perfume bottle! These make for PERFECT stocking stuffers! Securely hang or place in position that it will NOT fall over.